Welcome to Legal Marijuana Delivery in Brea, California! Brea, California might be the quintessential southern California suburb, and the city proudly embraces its SoCal suburban identity with great schools, an illustrious shopping mall, along with groves of lemon and orange trees. 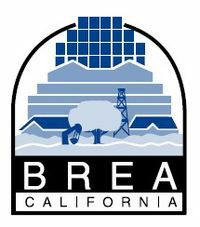 Once known as the city of "Oil, Oranges, and Opportunity," thanks to its legacy of crude oil production, Brea has largely left its history of fossil fuel industry behind. The economy is now driven by retail, agriculture, and educational facilities. If you live in Brea and want to enjoy the OC's finest cannabis, Bud Man OC has the weed you need – and fast 420 delivery to any location in or near Brea, CA. Experience the top weed delivery dispensary in Brea and Orange County. Our weed delivery drivers and cannabis experts are dedicated to delivering your marijuana flowers, edibles, and concentrates promptly and discreetly. Bud Man OC is a legal cannabis delivery dispensary under California jurisdiction. Bud Man OC offers a wide range of premium cannabis products – delivered to any address in or near Brea, California. We carry your favorite pot brands including Cannabis Cup award winners and other premium quality brands. Cannabis deliveries go out 7 days a week (holidays included) from 10am to 10pm. We can deliver weed to your hotel, home, or work address usually in an hour or so. Weed deliveries take place between 10am and 10pm. Order cannabis online 24/7, 7 days a week. We deliver premium quality marijuana products to 21+ adults anywhere in Brea, California.